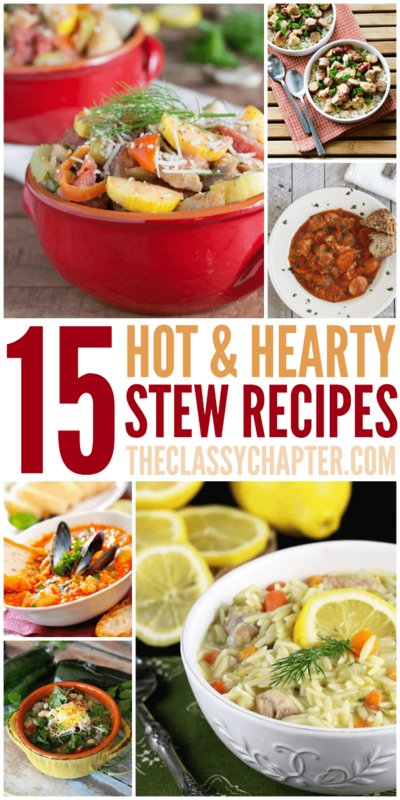 If you love easy home cooked recipes you are going to fall in love with this one! I grew up in an area that was predominantly Hispanic and it was wonderful! I remember my best friends mother making the best Mexican food. To this day, Mexican food is hands down my favorite! I moved away from my hometown when I was a young adult and I’ve missed the authentic Mexican food so much. I can walk into any Mexican food restaurant and get menudo, but I’m not a fan! 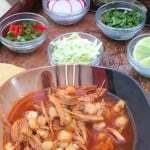 I like homemade posole and I’ve yet to find a restaurant in my area that makes it. 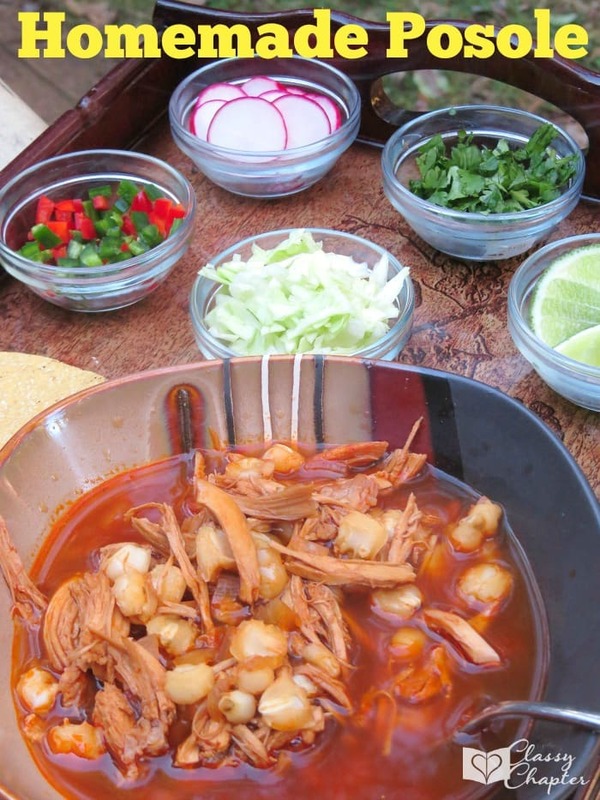 Thankfully, I was able to get my hands on a homemade posole recipe from back home. Before you even think about making this dish, keep in mind it’s not a quick recipe. Plan on cooking this for a good portion of the day. The longer you let it cook the better it will taste. You do not want to rush this soup, it just won’t have the flavor that you desire. I’ve received a TON of questions about this dish, so I’m going to discuss some of those now. I’ve looked all over and can not find New Mexican Chili Pods. You can actually buy them on Amazon. You can also find them in the Hispanic aisle of your grocery store. They are dried and come in a bag. I thought Pozle used pork. Why are you using chicken? Actually, you can use pork OR chicken! I prefer chicken over pork but feel free to use whatever you’d like. Technically, you can use any chicken you want. I prefer to use a whole chicken so that I can get some of that yummy bone broth. Why does this take so long to cook? Well, it’s a soup rich in flavor and it takes a long time for all those flavors to marry together. Sorry, I don’t have a quick version of this recipe. What are all of the toppings in the photo? I garnish this soup with cilantro, radishes, limes, cabbage and some jalapeno’s. I also love dipping a crunchy tostada in the soup. Okay, this sounds amazing! 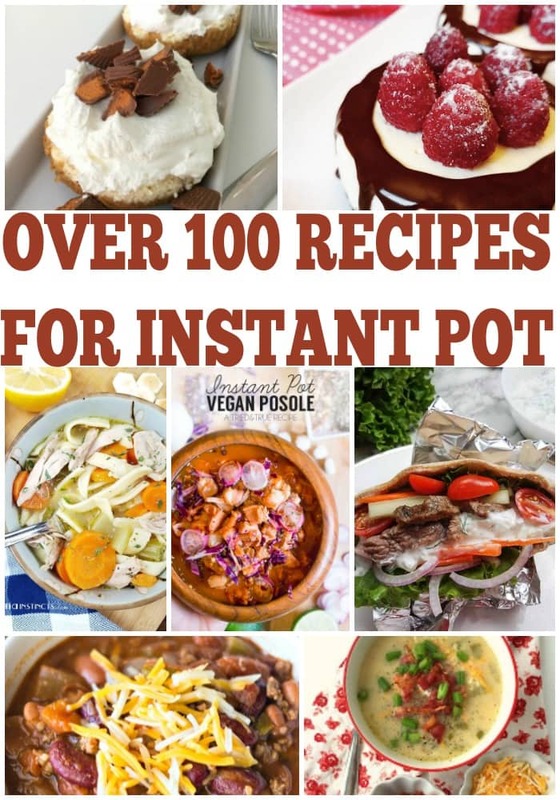 What other recipes should I try? 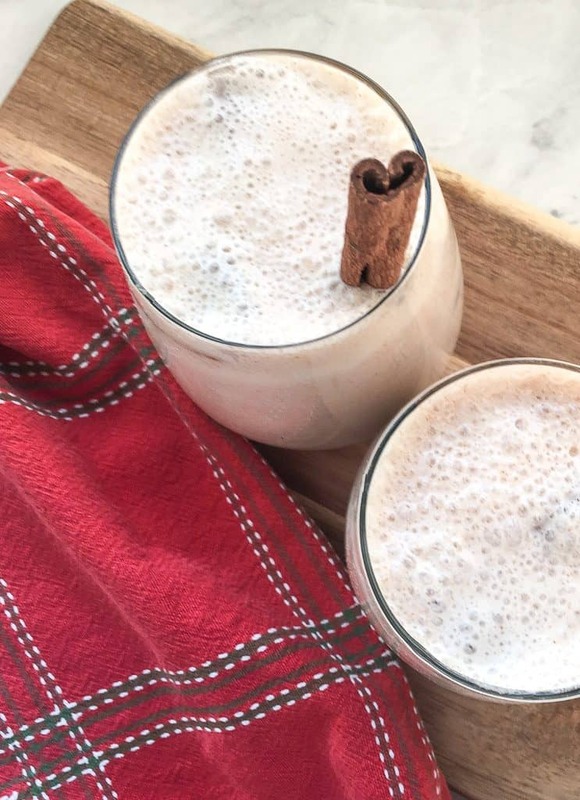 If you enjoy the pozole, you’d probably enjoy this Horchata as well. It’s a traditional Mexican Rice Drink. 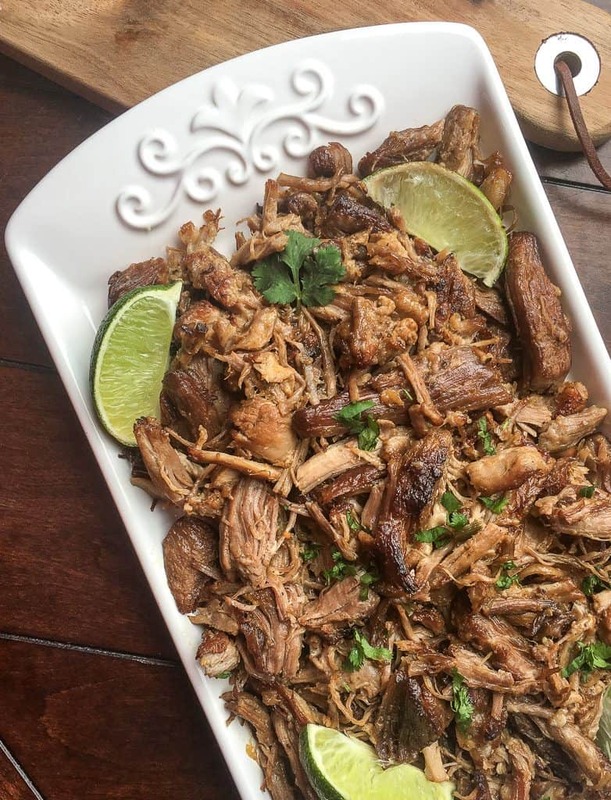 You could also try my Instant Pot Carnitas. Let me tell you! They are AHHH-MAZING! Boil chicken with 2 cloves of garlic and one whole onion quartered. I typically boil my chicken for about an hour. While chicken is boiling, soak the new Mexican chile pods in water. Once your chicken is done, remove from the liquid and let the chicken cool. Remove stems and if possible seeds from the new Mexican chile pods. Boil the chile’s in a large pot of water until tender (about 45 – 60 minutes). I like to add garlic cloves and more quartered onion to this pot. Once the chile’s are soft strain them and save the liquid. Put your chile’s into a blender and add the liquid as needed. You don’t want the sauce too thick. Shred the chicken return to the chicken stock, add your chile puree, chop up onion and garlic and add it to the pot. Add your hominy to the pot and let cook for several hours, adding more liquid as needed. Continue to taste the soup as you cook, sometimes you need to add in salt or even a tsp. of chicken bouillon to enhance the flavor. Once the soup is to your liking, serve with radish, cilantro, peppers, lime, cabbage and tostada’s. 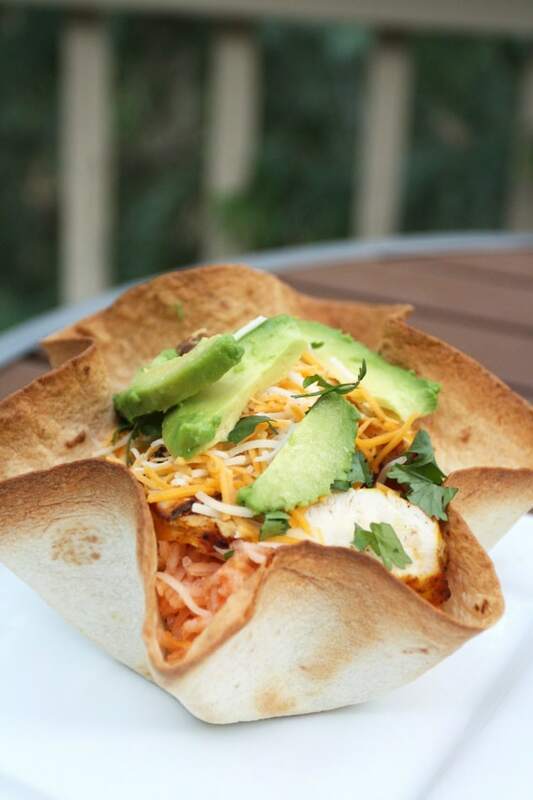 You can also add in shredded cheese and avocado if you’d like. *Tip – Before you add the hominy into the soup, you can fry it in a pan with a tsp. of olive oil. Doing this just helps the hominy not fall apart in the soup. « Woman vs. Woman: Why the Competition? This recipe looks amazing! I had this once when a girlfriend made it, but I forgot the name of the recipe and couldn’t find it anywhere. I’m so excited to be able to make it now! Oh it’s so yummy! I wish more restaurants made it because it is a time consuming dish. You are welcome! Thank you for stopping by. I’m making this, this weekend. How much hominy should I use depending on weight of Chicken? How many New Mexico chile pods do you use? I bought them in a bag and used all of them. There was probably about 10 in the bag. 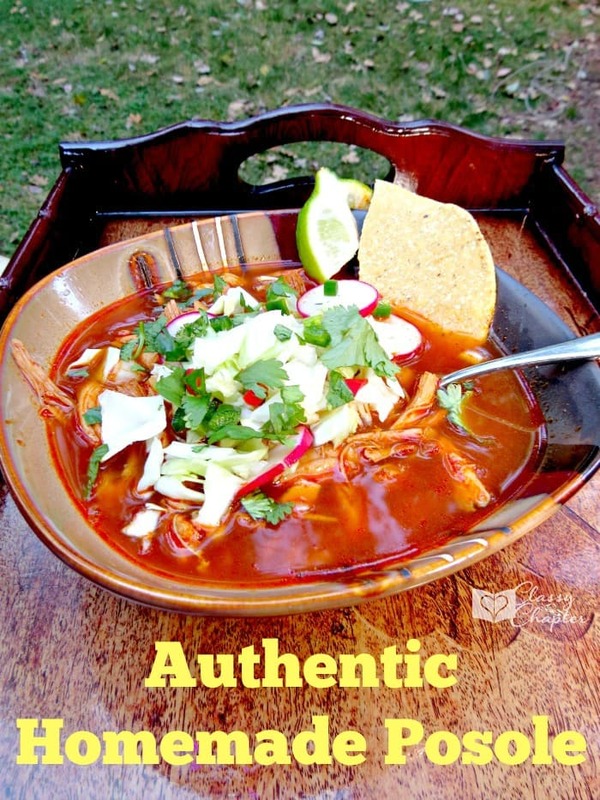 Usually the this pozole that uses these chiles use pork and chicken uses green chiles. Either way looks good. Yes, I’ve had it with Pork and with chicken. I prefer chicken, so that’s what I use but it’s so good either way! What kind of chicken did you use? Boneless skinless s? And how much of it did you use as well? Is this canned hominy? Sounds delicious. I will make this but need to know above. Wow really excited! Yes, it was canned hominy. I Am An International Chef` and I Prepared This Recipe Exactly As It is Written and It Was One of The Best Tasting Homemade Posoles I Have Tasted in A Long Time. Thank You for Sharing This Recipe and I have Saved It for Making Again for My Family. Wow, thank you so much for the compliment! I absolutely love this soup and I’m so happy you enjoyed it. If I was to use pork, how much should I use? Also, was it a whole chicken with bones and everything? How many peppers? About how much cilantro? I’m so excited to make this! I would probably use a whole pork shoulder. I used boneless chicken but I have used bone in chicken (more flavor) With the peppers, it really depends on how spicy you want it. I keep adding until I’m happy. With the cilantro, I always forget to measure, I just cut up a bunch and garnish but I LOVE cilantro!